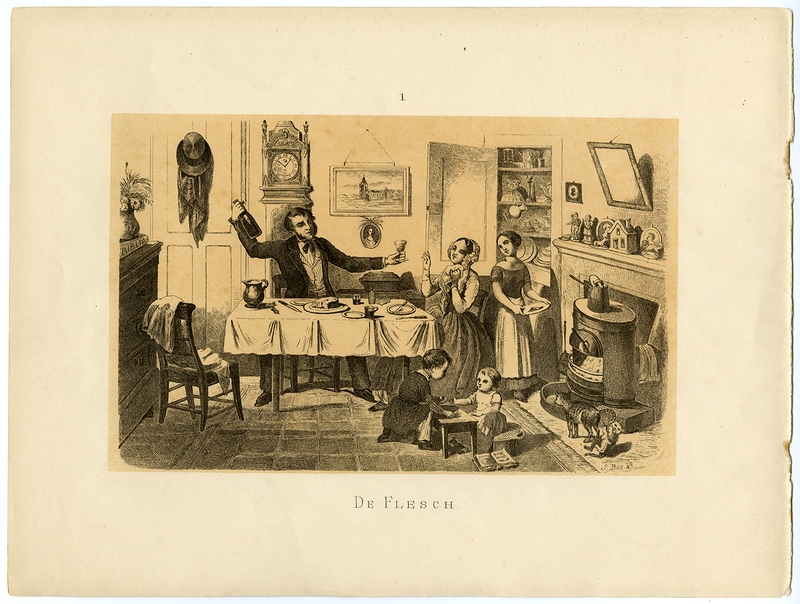 Subject: Antique print, titled: 'De Flesch, I' - A late 19th century satirical/moralising drinking scene. A man and his family are in the kitchen, he has a bottle and a glass in his hands. Children are playing on the floor and on the right are two cats. Size (in cm): The overall size is ca. 35 x 26.5 cm. The image size is ca. 25.5 x 18 cm. Size (in inch): The overall size is ca. 13.8 x 10.4 inch. The image size is ca. 10 x 7.1 inch.